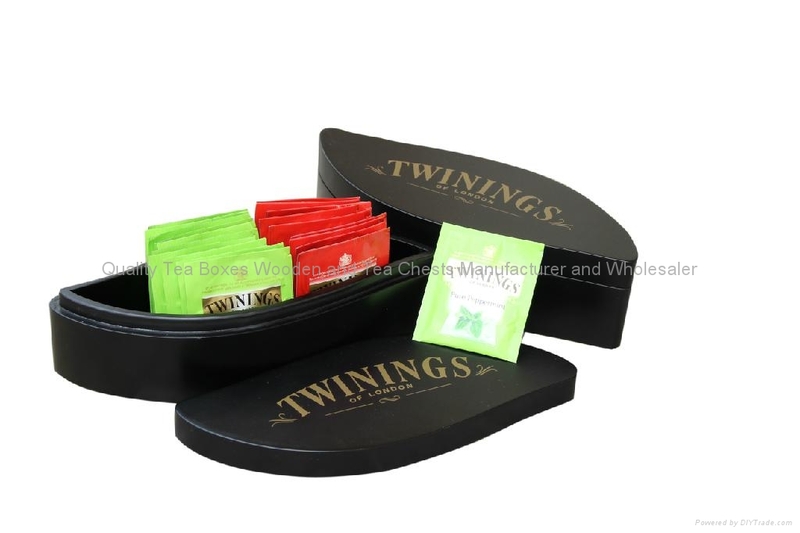 This elegant tea box is made of tea leaf shape. Both inside lid felt and outside lid can have customer's logo information. Inside the box it is wholly black felt lined. 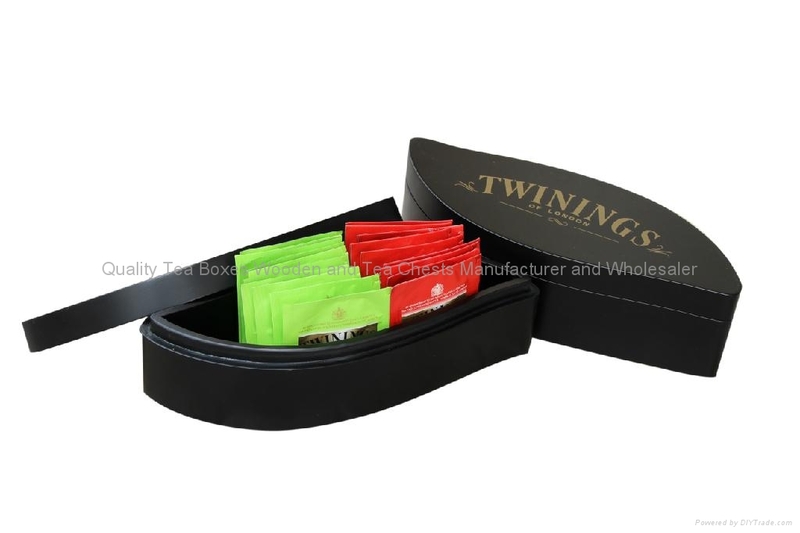 This wood tea box can hold tea bags and tea leavies in a larger bag. Outside the bottom, we can line the same black felt or put two small rubber mat to avoid any scratch on the table. 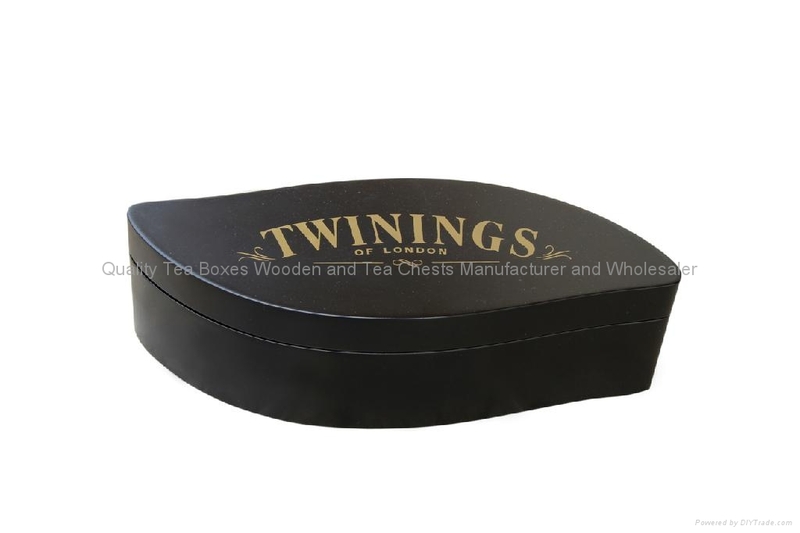 We take great pride in manufacturing the highest quality, custom made tea wooden boxes, tea wooden chests and tea stand for each and every customer. We have the skilled workforce and expertise required to meet any and all of your wooden box needs.